Comments Off on Dress Up Pokémon Style With Gorgeous Sylveon Necklace! 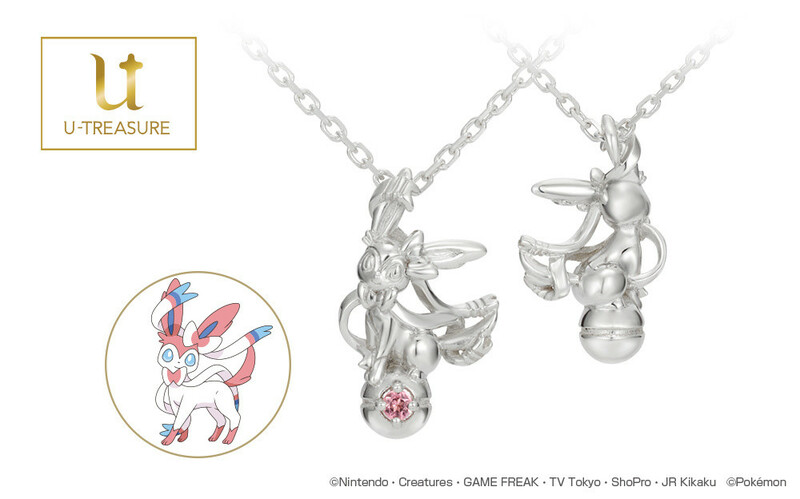 U-TREASURE is well-loved for its stylish jewelry and goods for adults, and they’ve revealed a beautiful new necklace featuring the Eeveelution Sylveon! The charm on this necklace features Sylveon on top of a Pokéball, and every little detail is carefully restored to capture all of Sylveon’s charm, including the ribbon-like antennas. The necklace comes in a variety of models with different prices: Platinum 950 goes for 65,000 yen, K18 Yellow / Pink / White Gold for 55,000 yen, and Silver for 12,000 yen (includes tax). In addition to Sylveon, Eevee and all of the other evolutions appear in an epic grouping on the Eevee and Friends jewelry cloth, which retails for 1,080 yen! The chic design is perfect for any Pokémon lover who needs to polish their precious jewelry. The necklace and cloth can be purchased at the U-Treasure Online Shop or in person at U-Treasure Shinjuku or K.UNO Order-Made Salon Meitetsu (Nagoya). Previous article Works from Picasso and Calder are among the designs at Custot Gallery’s new exhibit.